Lent is a season of 40 days before Easter (not including Sundays) marked by repentance. Jesus spent 40 days in the wilderness fasting and resisting temptation before beginning his ministry. Israel spent 40 years in the desert on their way to the Promised Land. The flood covered the earth for 40 days. God gave the Ninevites 40 days to repent. In the Bible, “40” is often associated with a trial, a test, a hardship that must be endured before something good. 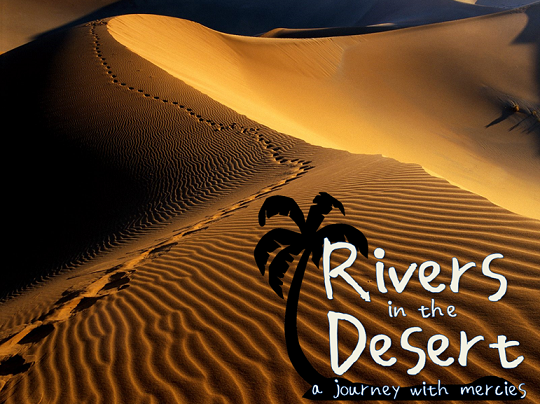 We can see our lives as a sort of “40,” a time of testing and hardship before we see the “Promised Land.” Yet in this “desert” that we must wander, we see God providing “rivers” of his mercy, as he did for Israel. And these moments of grace and mercy should lead us to worship. Every Wednesday in this Lenten season, we will take a spiritual journey through the wilderness and drink from these rivers.